One of the most common pieces of advice for job seekers is to tailor their resume to each position for which they apply. This allows them to increase their appeal and competitiveness by better aligning with what the employer is looking for. At first this can seem very overwhelming and time consuming. A different resume for every job? However, with a little planning and practice, this can be easier than you think. You’re not rewriting your entire resume. When you customize your resume, the main focus will be on your summary of qualifications and core competencies. You may make some changes to your job experience, but for the most part this will stay the same. Your experience doesn’t completely change because you are applying for a different job. Keep a list of relevant keywords. As you review job openings, pay attention to common keywords that are used. Have a running list that you can pull from if you need to change up your list. While ideally you will use the specific job opening to generate keywords for your resume, not every job description is as detailed as others. You may have to come up with your own. One trick to pulling keywords is to use a program such as Wordle. Copy and paste the text from the job description and the words that are used most frequently will appear the largest. Keep a list of key achievements. Depending on the type of position you seek, you may want to highlight different accomplishments. This is especially true if you are looking in multiple areas. Swap out certain bullet points with others that may align more closely with the responsibilities of the job. Having a more extensive list on hand can also help you when you go for an interview to quickly review what you have done in past roles. It may not all be listed on your resume but it will be more fresh in your mind. Tweak your summary of qualifications. You may need to make adjustments to the strengths that you highlight in your summary. Focus on what you would bring to the position and how you could benefit the company. Sometimes you may rewrite the entire summary and other times you may only need to adjust some wording here and there. Save a master copy. Have one main copy of your resume that encompasses your career history, strengths, and accomplishments. Use this to build from as you tailor your resume for different openings. No matter what changes you make, you will always have something to refer back to. Take it one step at a time and one job at a time. As you apply for more jobs, you will become faster at identifying exactly what you want to change and how to adjust things accordingly. 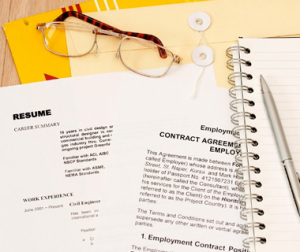 Remember that every resume does not have to be completely different, nor should it be. There are many things that will stay the same.